A first class guitar-wielding comedian with a captivating voice and wickedly dry sense of humour. 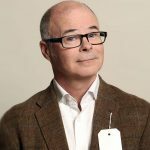 Andy Askins has an expertly crafted routine littered with an eclectic mix of offbeat comic songs and parodies. Popular songs have been rewritten and given a perverse twist to tremendous comic effect. With impeccable timing, his inventive and quirky songs are peppered with inspired patter and the darker material is sweetened by his impish demeanour which never fails to leave audiences in the palm of his hand. His subject matter is wide ranging; from his many bizarre relationships: “Some of them with humans” to an unfortunate mix-up over a colostomy bag with a Columbian drug baron in Miami docks. TV includes The World Stands-Up for Comedy Central and The John Bishop Show.